The San Diego Zoo is among the most famous in the world and is celebrating its 100th year in 2016. It is home to more than 3,700 rare animals spread out over 100 acres near downtown and sees 5 million visitors each year. Yet its mission is to be much more than a park to watch animals in their native habitat. The zoo has become a world leader in conservation science and has dedicated global resources to saving endangered species. The unique, patented LEDioc Engineered System makes it easy and cost-effective to change from HID to LED.It should come as no surprise that the San Diego Zoo is also at the forefront in providing an optimum experience for visitors day and night. It became clear in 2015 to zoo facility management that it was time to begin the move to LED lighting in order to save energy, reduce maintenance and improve the overall lighting. Management turned to Angie Alvarado of innovative Lighting Solutions to help with the project. 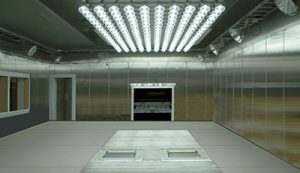 She had previously helped the zoo reduce energy use with indoor lighting retrofits. The new targets were the outdoor poles at the guest entrance which illuminated trees, walkways and two famous bronze gorilla statues. The existing architectural poles were still attractive, so the zoo wanted to retrofit the post-top light source. 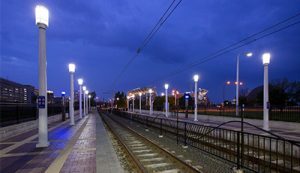 Alvarado hired Edward Newell, head of Design and Specification for RTM Lighting & Electronics, to help with the project. “The zoo planned to increase the hours it was open at night, and I saw this project as a classic solid state lighting upgrade,” Newell said. 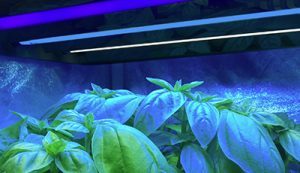 “The zoo needed to increase light levels, improve the quality of light, reduce energy use and lower maintenance costs. The existing poles were made by three different manufacturers, so the challenge was to find a single lighting solution that was flexible enough to accommodate the different poles, but at the same time deliver great light,” he said. 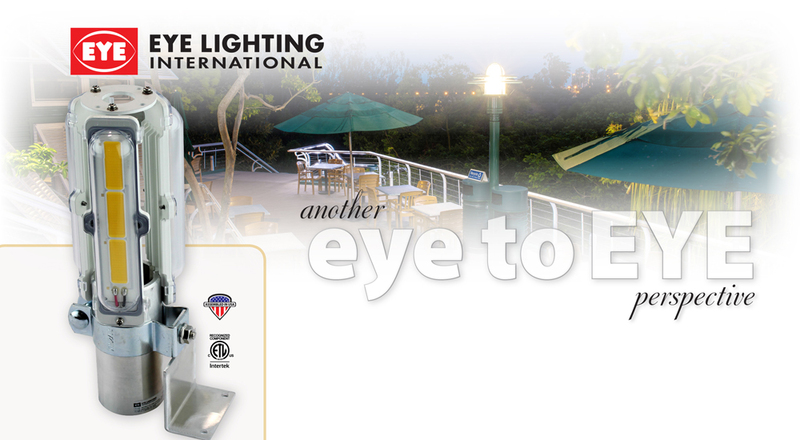 The EYE Lighting LEDioc solution can be retrofitted to virtually any post-top.They found that there is only one product that fits the application: LEDioc from EYE Lighting International. The LEDioc was designed for fast field retrofit of post-top luminaires and preserves the light center length, optics and photometric performance of the existing luminaire. The zoo’s legacy light sources were 250W Metal Halide and 250W Mercury Vapor lamps, so the 37W LEDioc represents an 85 percent reduction in energy use. Newell notes that zoo employees at first thought the new lighting was using more energy because it was so much brighter. Director of Facilities Operations for San Diego Zoo Global Kevin Haupt said management is very pleased with the new lighting. “Everything under the new LEDioc lamps looks brighter and more vibrant, and we are convinced our guests will enjoy these areas of the park even more,” Haupt said. “As a global leader in conservation and sustainability, we are constantly searching for new ways to reduce our overall resource consumption. On September 16, 2016 San Diego Zoo celebrates its 100-year anniversary and we are trying hard to make everything better in our second hundred years, and the new site lighting is a part of that,” he said.